Seis actrices están esperando en la galería para representar una puesta en escena. Perdidas en la ciudad, ellas recrean situaciones imperceptibles: “Sonido Sonorense” es el rumor de la flauta de un afilador de cuchillos, el vendedor del agua o el camión de la basura; “Solecito de Tepito” presenta el calor bochornoso cada medio día en los puestos de comida de Tepito; “La Ventosa” nos recuerda el viento turbulento que corre entre la Torre de Reforma e Insurgentes; “La Inundación” es aquella coladera que tapa la ciudad creando un lago improvisado, y “la Flor de Esquites”, una máquina de olores que nos devuelve esos aromas tan característicos de los mercados. Una vez en el espacio de la galería, y tomando la forma de un personaje/escultura, se preguntan cual será su papel en esta obra. Pedraglio toma "Seis personajes en busca de un autor" (1925) del dramaturgo italiano Luigi Pirandello como base para un guión, eliminando todas aquellas frases que no aluden directamente al tema central de la obra: Seis personajes que se presentan en escena para formar parte de una representación. Las actrices irrumpen así en el espacio de LIGA, e insisten en que se les permita contar su propia historia: ya sea la de los personajes que representan en la ciudad, o la de las actrices que ahora les toca ser. Since their introduction to museums in the 19th century, dioramas have constituted a museographic device for displaying spaces to scale, where remote places, geographically or dislocated in time, are reflected. A mixture of art and science, dioramas became the first attempt at virtual reality, through the interrelation between a foreground and a painting in a curved background. Thus the diorama represented a natural space that was transformed into a landscape through its own constructive morphology. For this project, the Mexican studio Pedro&Juana works with the device of diorama as a radical architectural gesture: a "window into the city" that reproduces a visual reality from an exercise in taxidermy, framing what by inertia is always in constant change. Through this intervention, Pedro & Juana makes an open question on the relationship between culture and nature, representation and reality, and the "power" of the subject and its capacity to contain, compose and fragment inside a vitrine the constructed world. The museum has been the mausoleum of the objects of the past, reinserted in the present under the auspices of the building that houses them, and intersected by different methods in which objects are incorporated, cataloged, analyzed and then displayed. The museographic forms and, specifically, the diorama, perhaps one of its maximum expressions, are a consequence of the impossibility of representing the object of desire. Undoubtedly, one of the most recurrent fantasies of Modernity was to interpret the past as if it were an intact relic, uncontaminated by the gaze of the present. It is impossible, however, to separate the presented device from the knowledge and the gaze of the one who made it and who has the power to return it to circulation. "The modernist nation was crafted as the ark of a People: a finite and bounded artifact with a trajectory in time, a storied space; museums and art history as its cybernetic or navigational instruments, as optical devices allowing each citizen- passenger both to see behind the ship, the direction whence it came […] Never mind that such a horizon point is always equally far away however close we seem to come: the visual mirage in the noonday blankness of the present." Actually, it was about interpreting the known world as a sequence of images adapted to the visual horizon of Western thought, turning objects into fetishes. In this hegemonic act, the museum becomes the administrative brain of knowledge and of "everything else", that is, of all objects from different cultures and backgrounds, a set of flaccid bodies that are activated under the impulse of this machine of representations. A semi-rigid machine that cannot bend down to observe each one of the parts. A torsion, which, more than a reverence, would mean an act of multiple unfolding, that would facilitate the understanding of plurality and the diverse states of knowledge of which we are a result. Given this impossibility of connection based on differences, taxidermy seems to be the only possible form of interpretation: museography becomes that structural archive that fragments and endows things with value while it neutralizes them under generic terms. 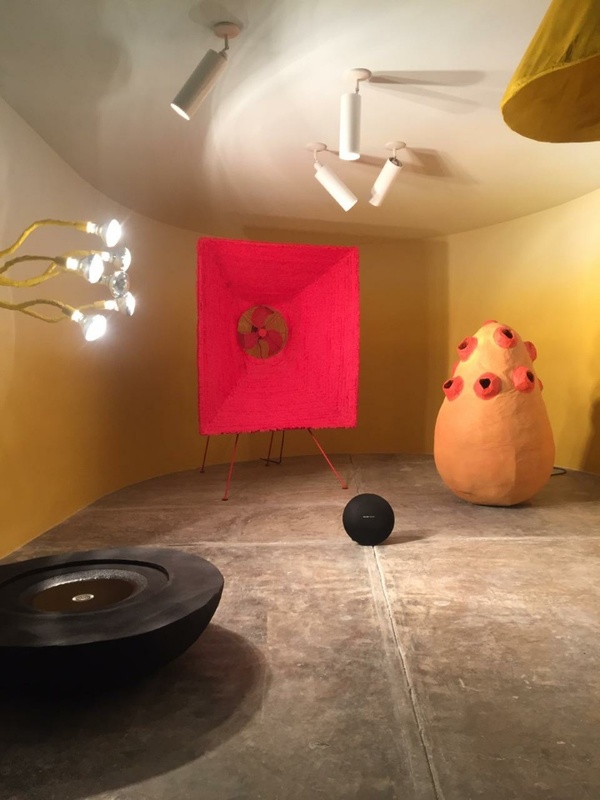 Pedro & Juana put in place a diorama in the LIGA gallery, representing an imaginary space in Mexico City, where a number of objects set up a scene that is simultaneously present and timeless. It is a series of objects that represent, each in its own way, different facets of the daily life of the city. These are objects that most of the times go unnoticed, either by its precariousness or by its excessive worldliness. Some of these objects represent situations, moments that shape the city from sensations. This selection made by Pedro & Juana responds to the interest of this Mexican study for manual processes and the recovery of handicraft materials, which are often in relation to the underground economies that sustain the day to day of the city. Pedro and Juana refer to these objects as the actresses, because their way of acting makes the city stay alive and in full circulation. The actresses are gathered in LIGA presenting a mise en scène directed by Francesco Pedraglio, based on a imaginary script. These actresses adopt a stage name, conferring them a certain epic halo: "Sonido sonorense" represents the sound of the flute of a knife sharpener, the seller of water or a garbage truck; "Solecito de Tepito" represent the hot weather that incremented over the day on Tepito´s food stalls; "La Ventosa" recalls the turbulent wind that happens between the Tower of Reformation and Insurgentes; "The Inundación" is the storm drain that clogs the city creating an improvised lake, and "the Flower of Esquites " is a smells machine that brings back the aromas so characteristic of some markets. This diorama also plays with the scale of the objects, using the same devices to reproduce the reality that the dioramas use within the museum. From techniques that create a false perspective, The horizon is ours!reinforces the feeling of depth, but also the illusion of shaping the horizon of the city in which we live. A project that refers, not without a certain irony, to the possibility of owning the landscape. With this intention, an operation is remade of selecting and labeling a city project in which the architects are inscribed. However, this selection of Pedro&Juana is motivated by another type of hierarchy, one that departs organically from the traditional sequence of values. 1 Donald Preziosi. “Performing Modernity” in Performing the Body. Performing the Text, Routledge, New York, 1999. P-31. "The machine is invented to respond to specific needs. Once it exists, the operator can go far beyond its original capacities: by breaking the rules imposed by the machine itself, creative outcomes emerge that were unimagined before using the machine, before breaking its rules." 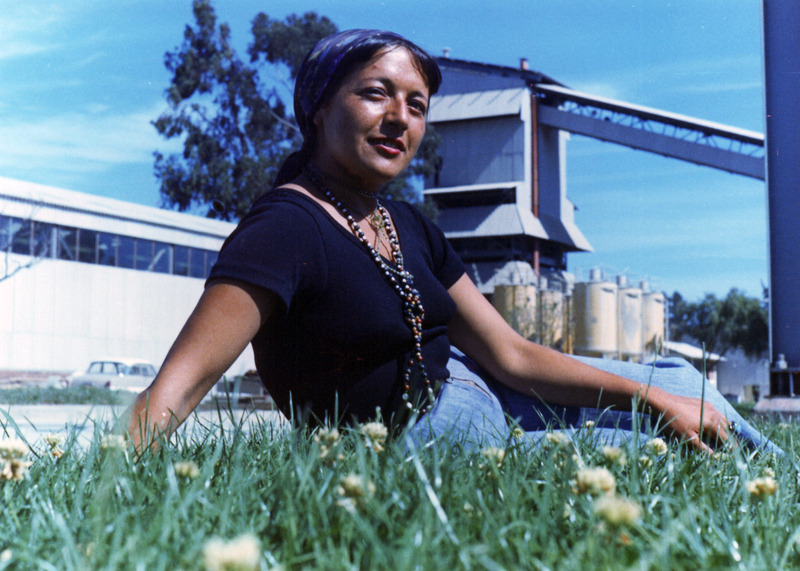 Our second open call borrows its title from the book by Stevphen Shukaitis, lmaginal Machines , to discuss the productive structures that operate on the basis of a radical and collective imagination. A mechanism that is activated by social self-determination and joint action and that is the fruit of sharing the experience, knowledge and techniques that ground us as a society. We invite architects, researchers and writers to think about past and present "machines" that use architecture to work as tools of social analysis and production. Leaving aside any deux ex machina mechanism, the structures we would like to assembie avoid a happy ending, where this is produced by standardized modes of operation. lmaginal machines help us to construct a vision of how to live together in the world, dismantling the state of comfortable individualism in which most of us live. Machines that are in a continuous state of trial and error, operating on the basis of their own dysfunctionality "lt might be that imaginal machines only work by breaking down. [...] By reopening the question of recuperation, the inevitable drive to integrate the power of social insurgency back in to the werking of capital and the state." Only in this way can we create possibilities where the shared imagination can combine different ecologies of knowledge in the service of social change. We are open to both real and/or imaginary projects that use installation, historica! 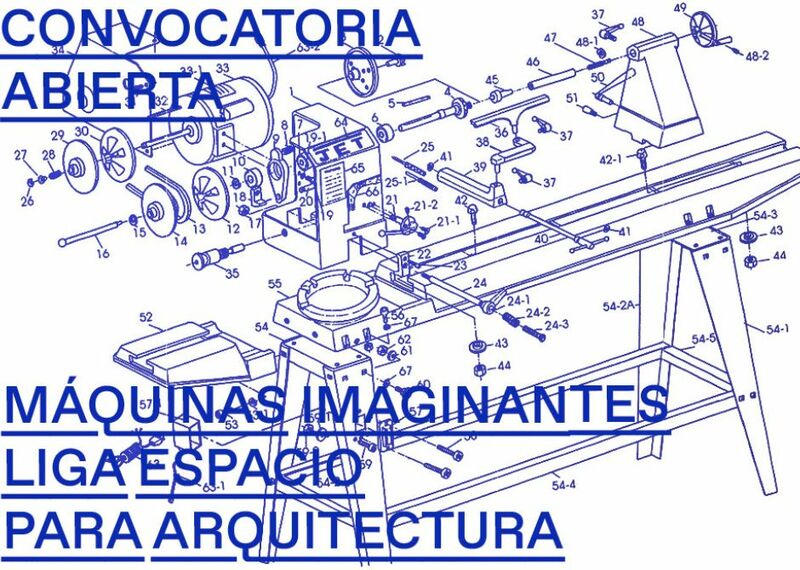 documents and archive material, performance, or publications that refer to the creation of these imaginal machines within architecture as antagonists of the status quo, whether using specific cases or those under development. The winner proposal would be shown in LIGA as part of the annual exhibitions program. For their exhibition at LIGA, Chilean researchers Pedro Alonso and Hugo Palmarola are presenting, for the first time in Mexico, a summary of their investigation into the “genealogies” of systems of construction models in Chile during the years of socialism under Salvador Allende. An investigation that links architecture to social and cultural transformations, fruit of the geopolitical avatars of modernity. The exhibition takes a starting point the project “Monolith Controversies,” an investigation undertaken for the Venice Biennale 2014, curated by Rem Koolhaas, as part of the section “Absorbing Modernity.” A hybrid object stood in the middle of the Pavilion of Chile: a concrete panel 3 x 3 m in height, produced by the KPD factory donated by the USSR to the city of Quipulé in Chile, to support the socialist government of Salvador Allende. 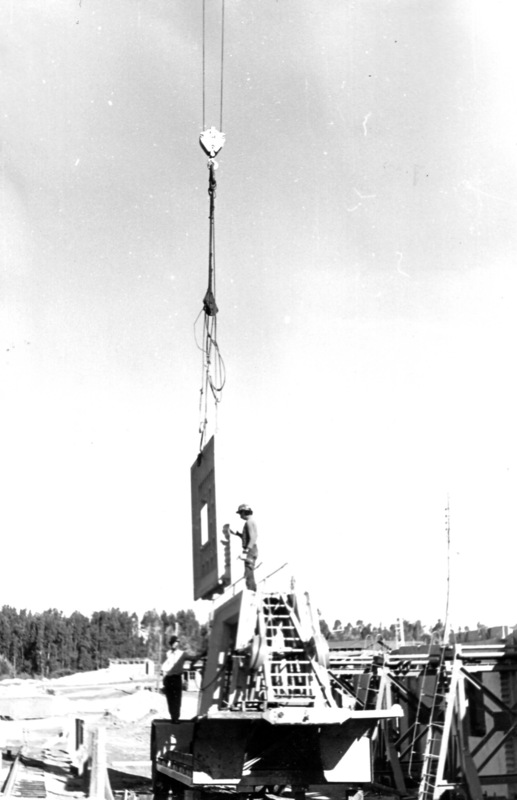 This concrete monolith, part an industrial product, part a monument to the present, was a symbol of the social and economic transformation of Chile through the mass construction of social housing. The model came from France, and had been invented as a cheap and efficient solution during the post-war reconstruction period in Europe. It was later adopted by the Soviet Union due to the housing shortage arising from the de-Stalinization process led by the Soviet leader Nikita Khrushchev. 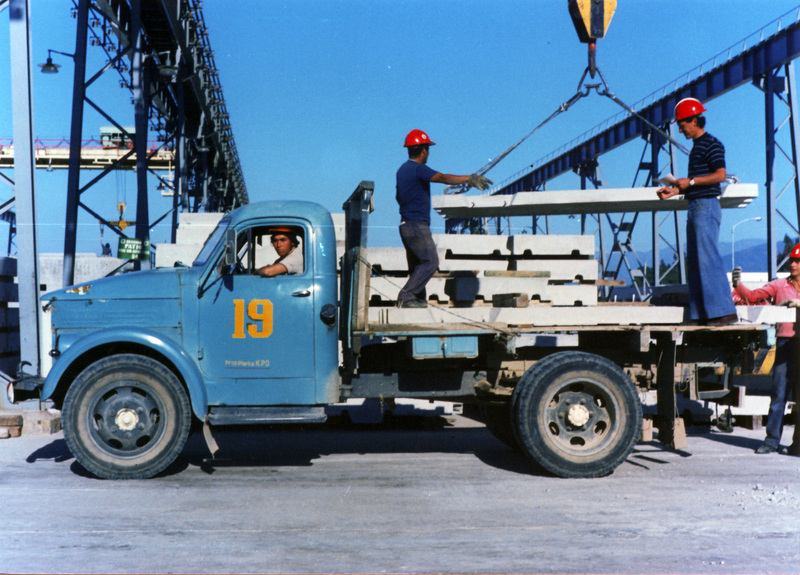 Its third incarnation emerged in Cuba, where the system was readapted as the Soviet “Great Panel” in 1963, as the result of the donation of a concrete panel production factory to the regime of Fidel Castro. 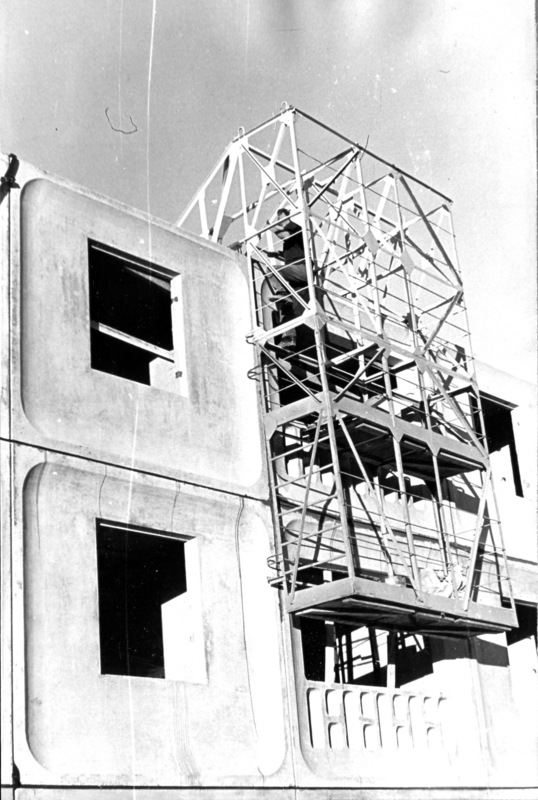 By means of these adaptations, the panel system finally reached the Chile of Salvador Allende, following a new donation of a KPD panel factory to support the Chilean people in the wake of the 1971 earthquake. 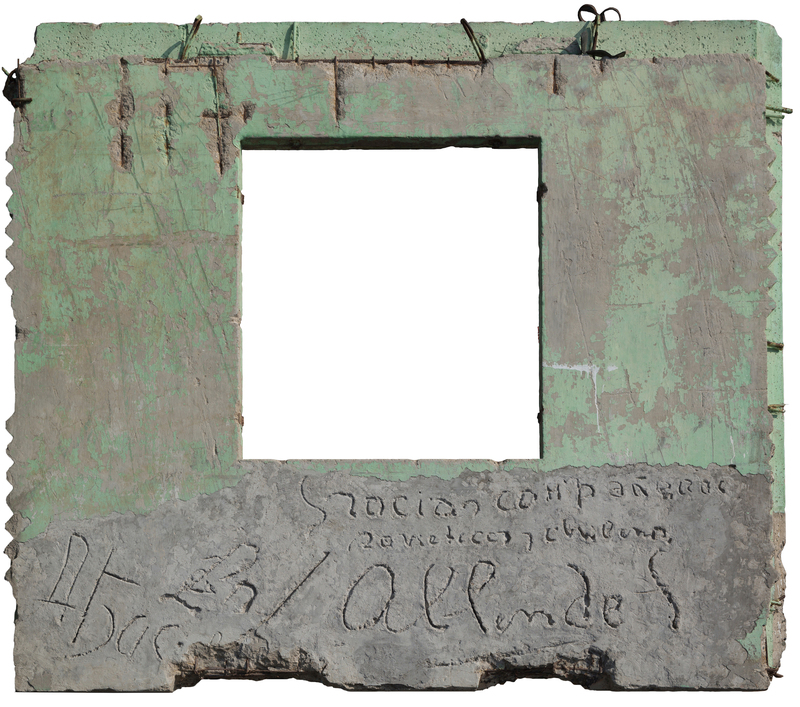 One of the first panels to be produced was signed by the hand of Allende himself, as a symbol of a new era, an example of modernization and new social policies for housing. Following the 1973 coup d’état, the factory switched direction and strategy, altering the path set out by the socialist wing. 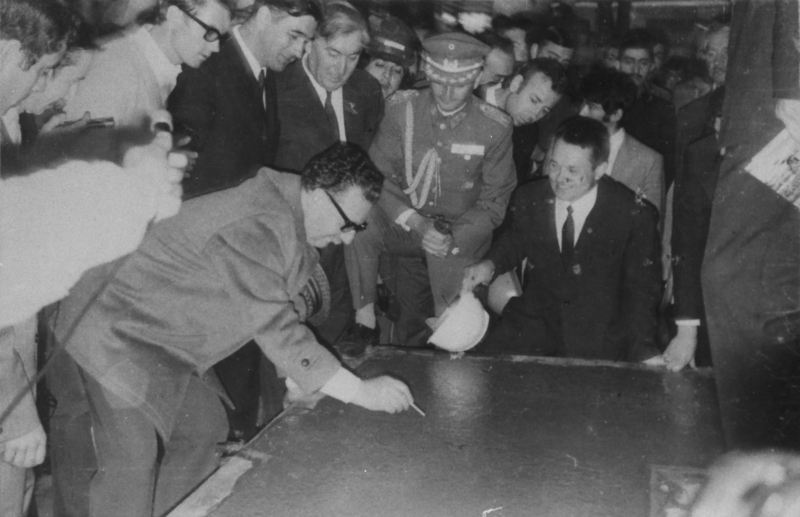 The wall, which was signed together with the Russian ambassador with the legend “Thank you Soviet and Chilean comrades,” was canceled out with a new layer, converting the social monolith into a traditional religious altar: the triumph of the conservative right over socialism and the burial alive of a moment loaded with hopes and airs of renewal. The factory continued operating, and the concrete panel would be assimilated into two politically antagonistic phases, representing its fourth and fifth interaction: the socialist KPD (1972) and the neoliberal VEP (1976). For the exhibition, the two researchers make a recount through photographs of the history of the panel as a reflection of the architectural, political and cultural history of Chile, starting with a journey of several decades until its recovery and exhibition at the Venice Biennale. In the LIGA space a model of a “Matrioshka” building is on display, where the different interconnected systems of this model converge, with values of similarity and repetition, standardization and variation of an object, which is linked to technological, architectural, design, art, political and cultural processes. In addition, drawings and press documents will be exhibited that accompanied the sociocultural process of Chile and the transformation of the city during the period of Salvador Allende. Finally, a previously unseen documentary will be shown that covers the whole process of the recent discovery and unveiling of the panel. About the researchers: Pedro Alonso is an architect who holds a master’s in Architecture from the Pontificia Universidad Católica de Chile, and a doctorate in Architecture from the Architectural Association of London. 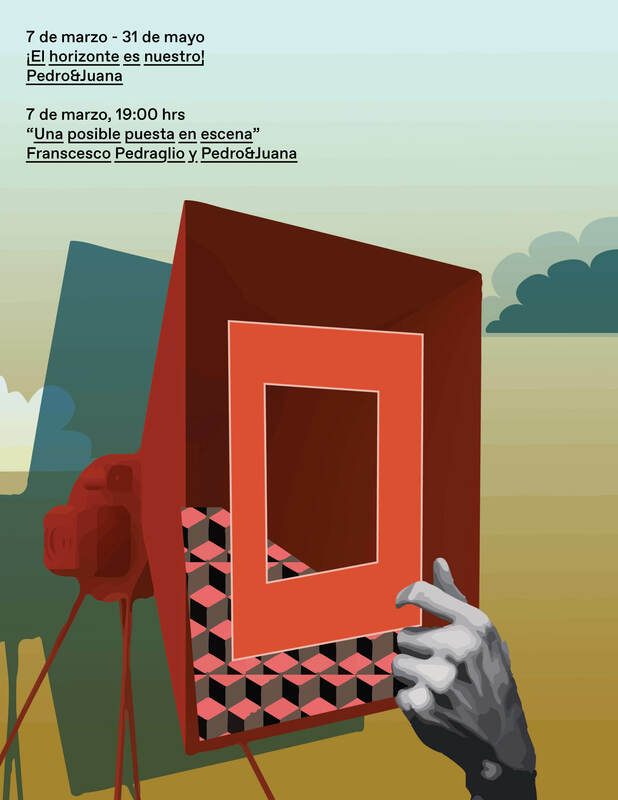 Hugo Palmarola studied design at the Pontificia Universidad Católica de Chile (PUC). He holds a master’s in the History and Theory of Industrial Design from the Universidad Nacional Autónoma de México (UNAM), where he also studied a doctorate in Latin American studies with a thesis on the technological imaginary during the Golden Age of Mexican Cinema. Book Launch: “A House Is Not Just a House”. A book published by Columbia Books on Architecture and the City, New York. “A House Is Not Just a House” [Una casa no es solo una casa], revisa el trabajo de Tatiana Bilbao en torno a la vivienda. Su trabajo construye argumentos sobre la producción de espacios domésticos de una forma expansiva a la par que mínimal, inseparable del contexto donde se ubican y basados en los principios fundamentales del habitar. El libro incluye reflexiones de colegas y académicas como Amale Andraos, Gabriela Etchegaray, Hilary Sample e Ivonne Santoyo-Orozco. La presentación del libro en LIGA junta a sus autoras en un debate que servirá para conocer a fondo el trabajo de Tatiana Bilbao y ahondar en las genealogías de la vivienda social. Un proyecto que enlaza también con la reciente exposición inaugurada en LIGA “Trayectorias de un panel”, sobre la historia geopolítica de la vivienda en Chile. A House Is Not Just a House forma parte de la serie Transcripts on Housing, de la serie GSAPP Transcripts, en colaboración con M.Arch Housing Studios en Columbia University GSAPP. We open a new space! In November 2018 we inaugurate our new LIGA venue in the Doctores neighborhood of Mexico City, where we are continuing our exhibition program, diversifying and expanding new lines of research, publishing projects and public activities. We are open from Tuesday to Satudardy from 11am to 6pm. Terremoto and LIGA jointly edit the new issue of this Mexico-based contemporary art magazine, that will be focused on architecture. In this issue we will reflect together with architects, artists and theoreticians on the way in which structures to house, organize and influence human life are planned and built, together with forms of resistance that contribute to destabilizing the pillars of the neoliberal system. In the mirage of functionality, the collateral effects of a developmental principle that (re)produces itself, ignoring gentrification, dispossession and displacement, become invisible. How can architects address their practice critically, establishing a space for dialogue that reverses the exercises of power? Under what working parameters can honest processes be established, where architecture works in favor of the well-being of the community? How to think about architecture on the basis of an active heterogeneity that is able to connect the past and the future in order to sustain a hybrid present? 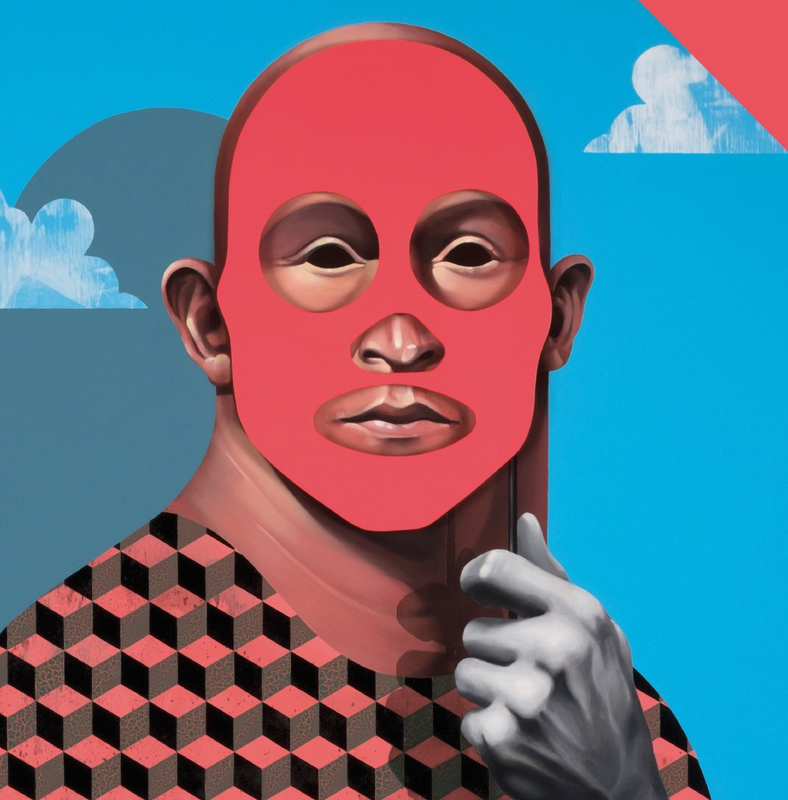 Collaborators: Laura Burocco, María Berríos, Tadeo Cervantes, Mónica Chuji, Dorothée Dupuis, Ruth Estévez, Jorge Lobo, Iván López Munuera, Andrea Pacheco, Godofredo Pereira, Fernando Portal, Marina Reyes Franco, Elisa Silva, Vere Van Gol.